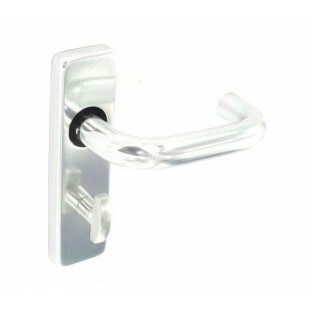 These aluminium door handles for bathroom doors feature a return to door lever design which facilitates comfortable and ergonomic use. 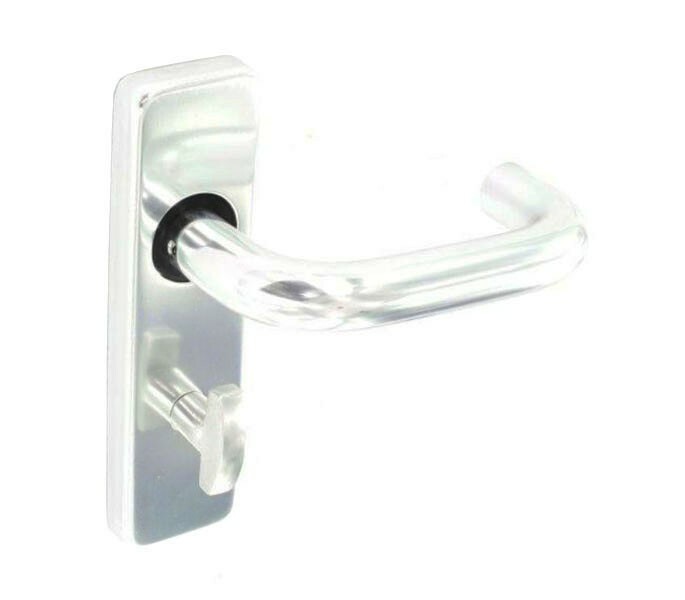 This handle incorporates a thumb turn for the inside of the bathroom and an emergency release on the outside. A stunning polished finish allows these aluminium handles on bathroom backplate to be matched with other polished hardware. 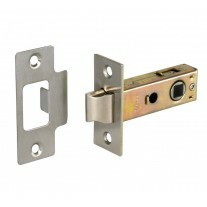 The aluminium door handles are supplied in pairs, providing one for either side of your door. 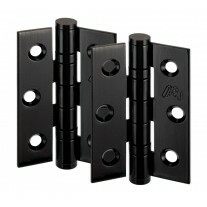 Included with the levers is a spindle, wood screws and bolt through fixings to ensure a sturdy installation. 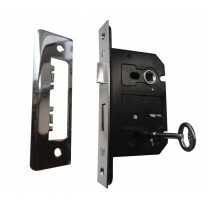 The push fit backplate cover offers an overall smooth appearance by concealing the fixings. Measuring 12mm in projection, the backplate has a height of 154mm and width of 42mm. The lever is 128mm in length and has an overall projection of 68mm.